A dozen years after completion, the Rain Garden at the Oregon Convention Center continues to draw national and international interest for its pioneering approach to stormwater management. 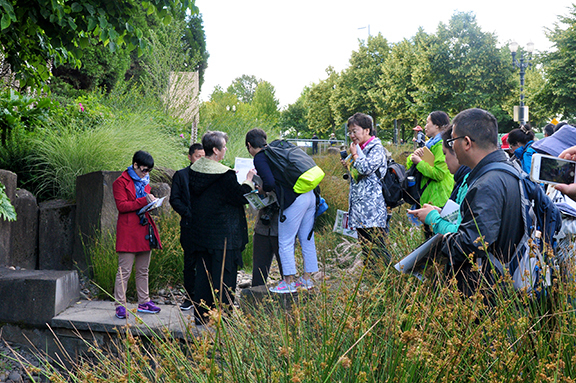 As the lead designer, I recently led a tour of the site for a group of landscape architects from Beijing, China where designing visible, green infrastructure is in its infancy. 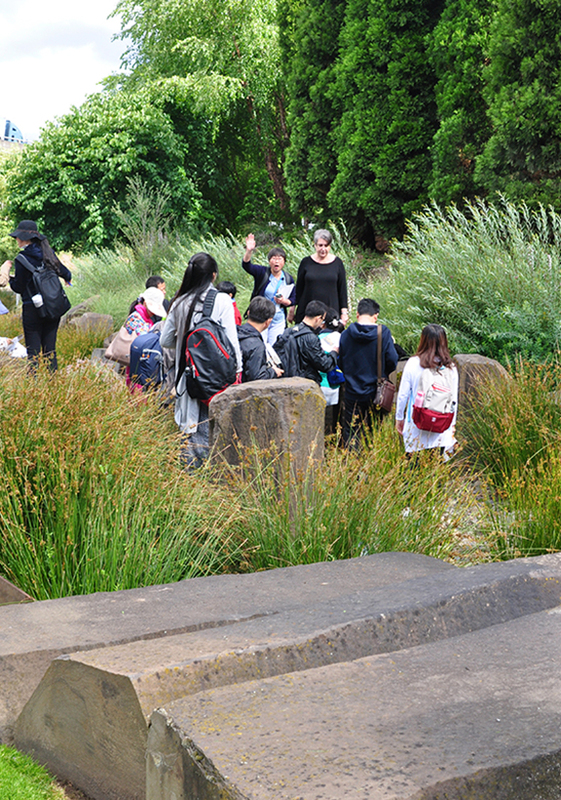 The independent practitioners and academics from the School of Architecture and Design of Beijing Jiaotong University were studying successful examples of integrated stormwater landscapes in Portland, Seattle, San Francisco and Los Angeles. 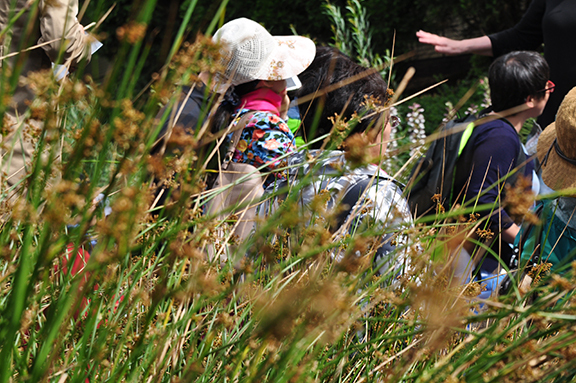 I found myself drawn into their excitement for a project that I have come to take for granted among many prolific, sustainable stormwater projects in the Pacific Northwest. Nowadays, as rain gardens have become a character-defining feature of Portland, it’s heartening to recall that this bold, demonstration project did, in fact, help inspire a movement that is now acknowledged and emulated worldwide. 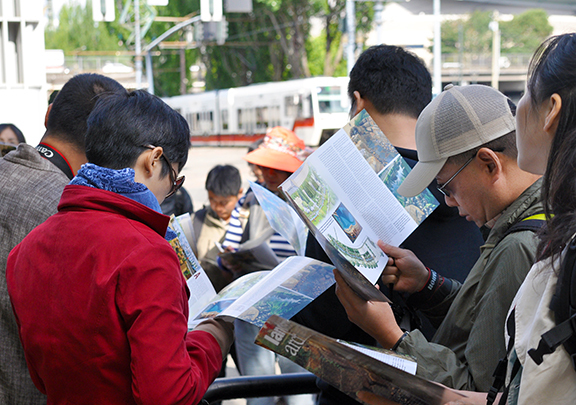 The tour was organized by Hong Wu, Assistant Professor, Department of Landscape Architecture at Pennsylvania State University and Xiaojie Tian, Principal of LA Road Study Exchange Program and sponsored by the Landscape Architecture Frontiers Magazine of China. Our latest studio artwall installation is on display at Mayer/Reed. In its eighth year, the artwall is a rotating, collaborative display of staff submissions focused on a theme.